The Dutch Government is liable for statements made by Government officials which suggested that downloading movies and TV-shows from illegal sources was allowed. This is the result of a lawsuit filed by a Dutch filmmakers' association, which hopes to receive compensation for the losses that were suffered. 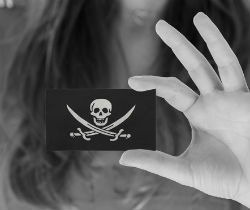 The Netherlands has long been a relaive safe haven for pirating consumers. Downloading movies without permission, regardless of the source, was not punishable by law according to Government officials. This eventually changed in 2014 when the European Court of Justice spoke out against the tolerant stance. As a result, the Dutch Government quickly outlawed unauthorized downloading. However, breaking the habits of a large section of the population proved difficult and until this day, local piracy rates have remained high. In 2015, this prompted Dutch filmmakers’ association SEKAM to hold the Government responsible, demanding compensation for the piracy losses they suffered. This week, Court of The Hague ruled on the matter, partially agreeing with the filmmakers. In its verdict, the Court reviewed statements made by several Government officials made prior to the downloading ban, including those from former State Secretary for Security and Justice Fred Teeven. In these statements, the Government made it clear that downloading pirated content was allowed, something that runs contrary to EU law. The Court specifically highlights a press release from 2011 where this was made apparent. This clearly suggests that it was fine until then, according to the Court. “The unmistakable message that is sent is that, at that moment, downloading from illegal sources in the Netherlands is absolutely allowed,” the Court writes in its verdict. This is particularly problematic since these and other statements were made in the public domain with the goal to inform the public. “Based on this message, expressed by the responsible Government official in the public domain and in the media, there will have been downloaders who assumed that downloading from illegal sources was permitted, whereas this was generally known to be forbidden in other EU member states,” the verdict reads. As a result, the Government is liable for the statements, which opens the door to a damages claim. While the Court sides with the filmmakers on this issue, Tweakers highlights that the Court doesn’t rule on whether the Government can also be held responsible for its lack of enforcement after the download ban in 2014. That would have to be determined in a civil case. The filmmakers’ organization Sekam sees the verdict as a “strong signal,” NOS reports. The group now plans to enter into negotiations with the Government about possible compensation.